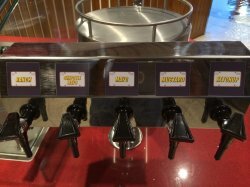 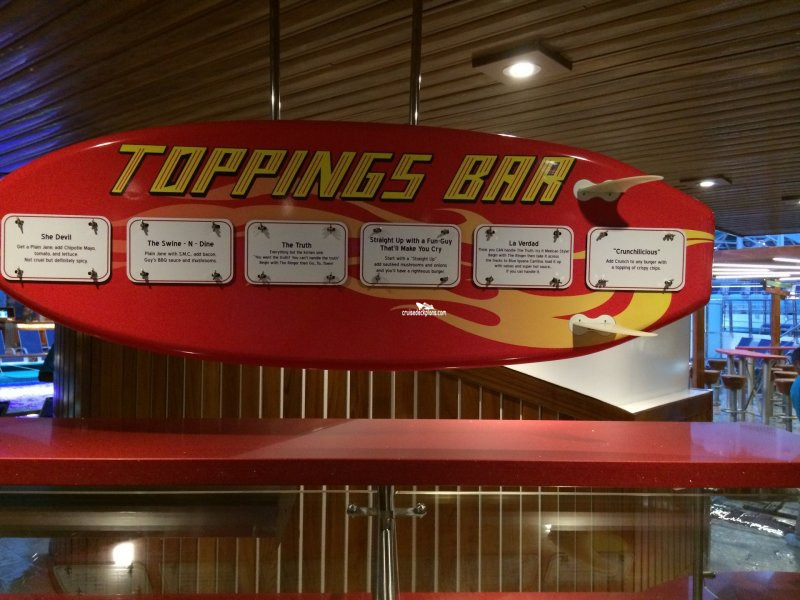 Serves pizza 24 hours a day. 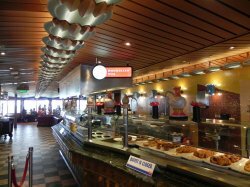 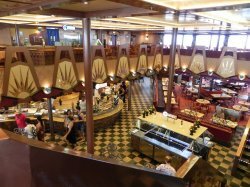 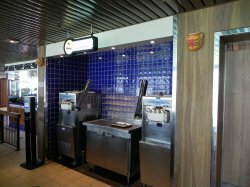 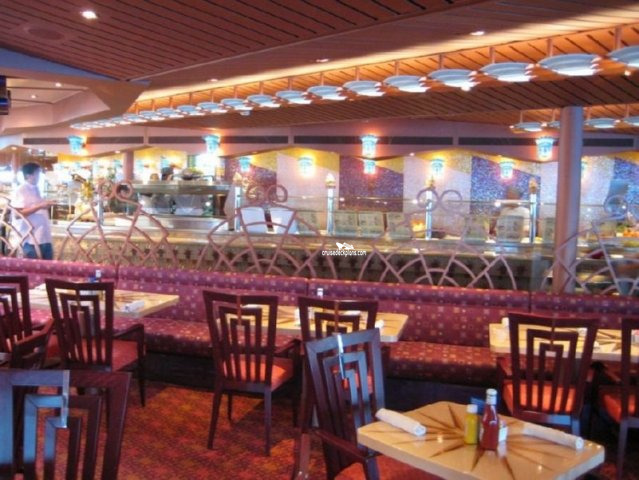 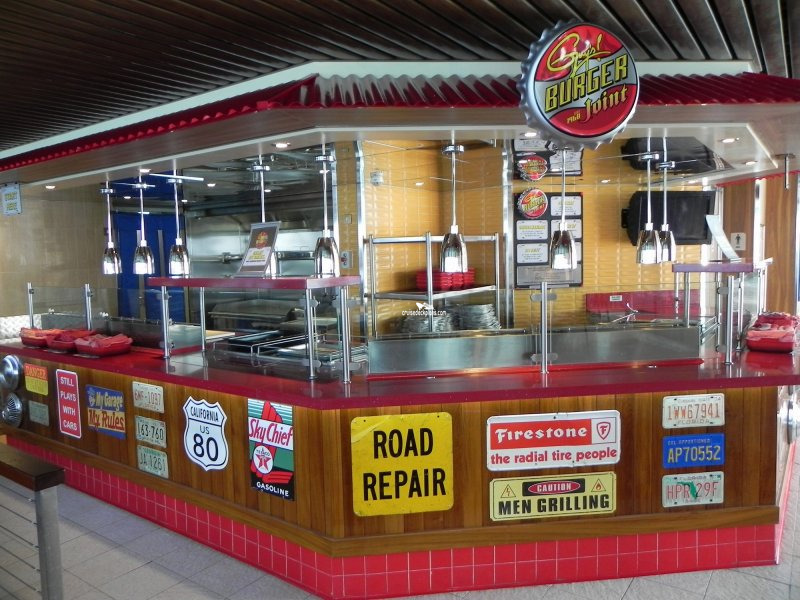 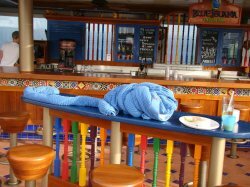 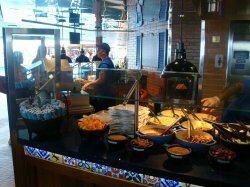 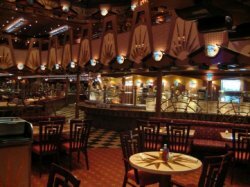 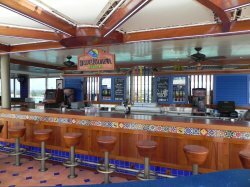 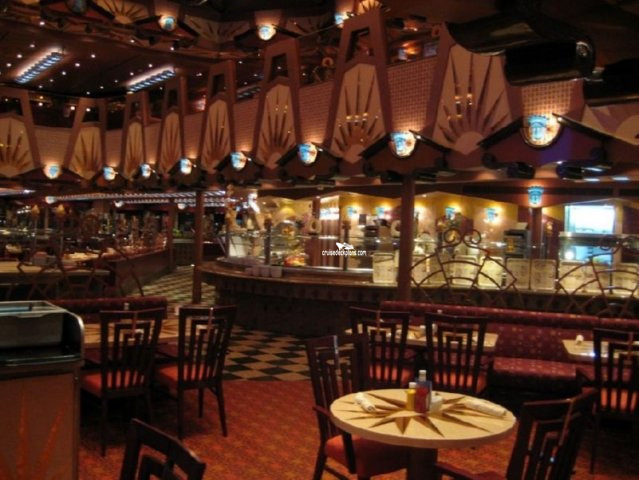 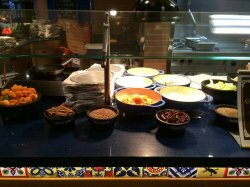 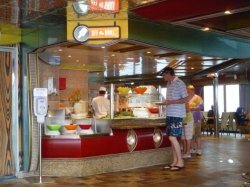 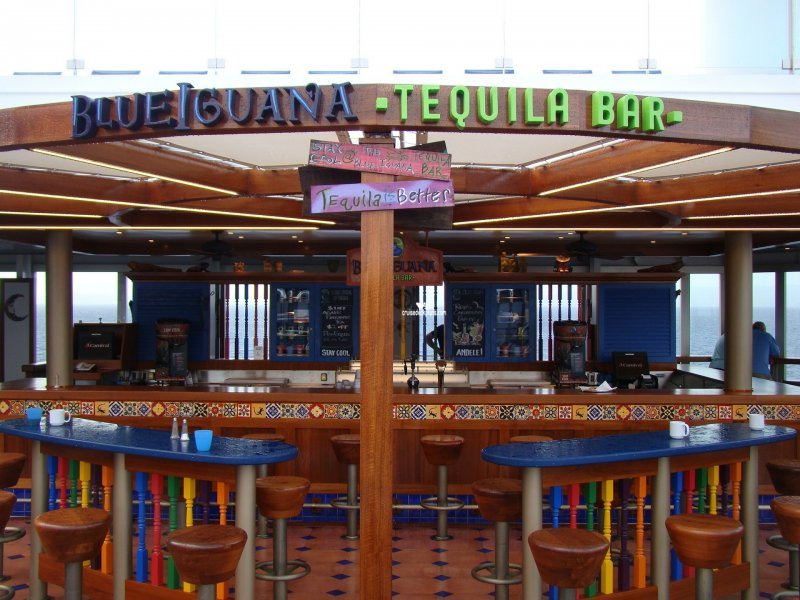 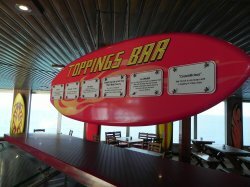 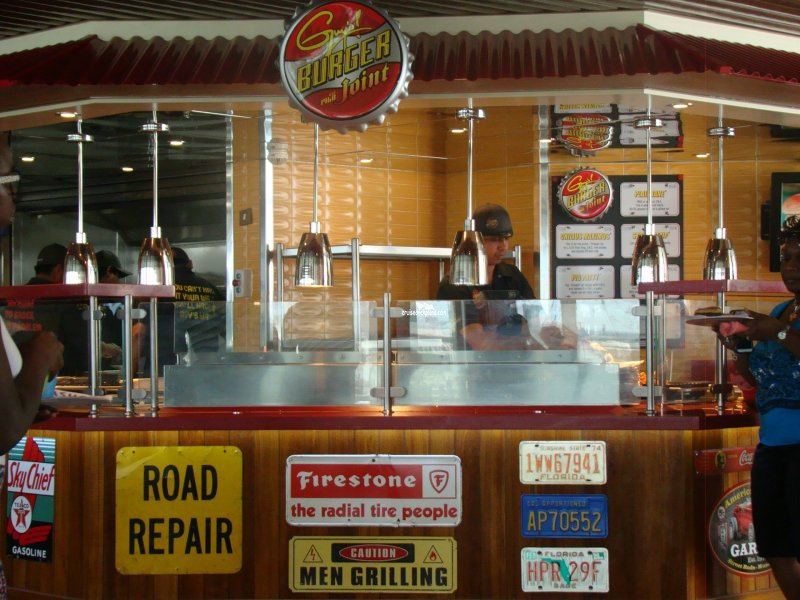 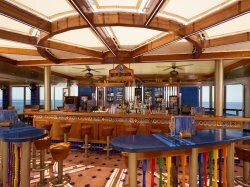 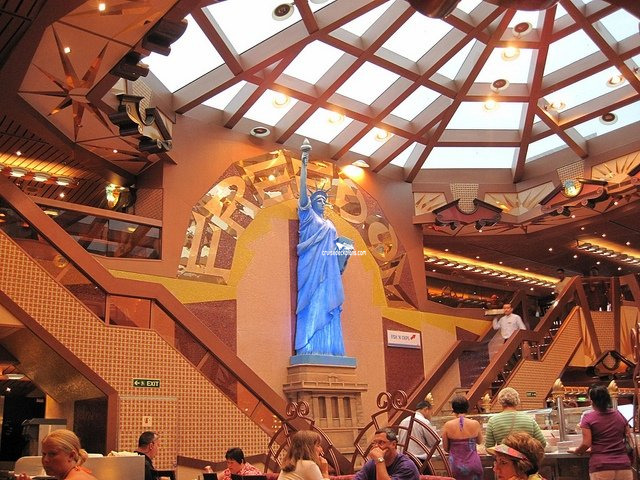 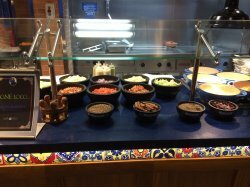 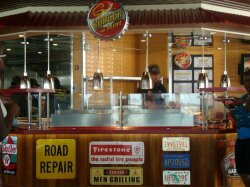 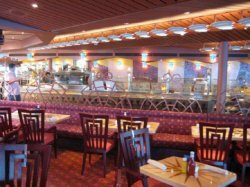 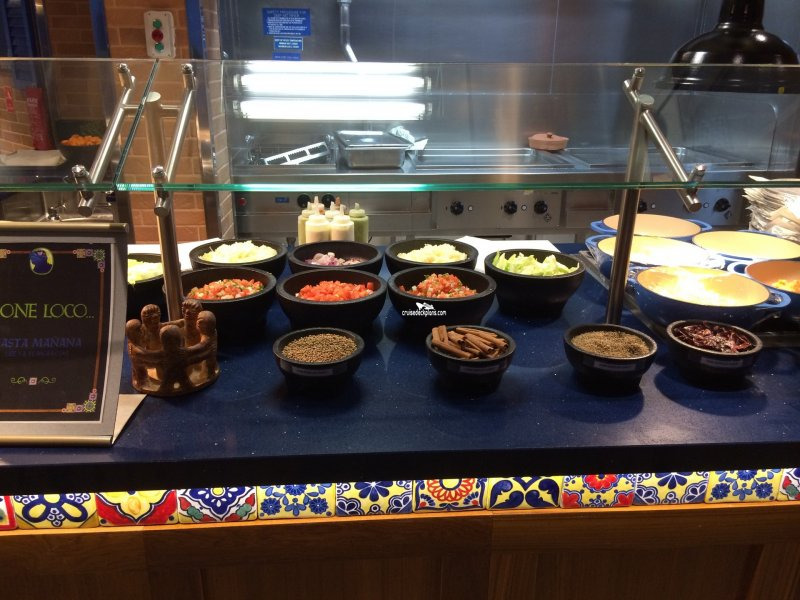 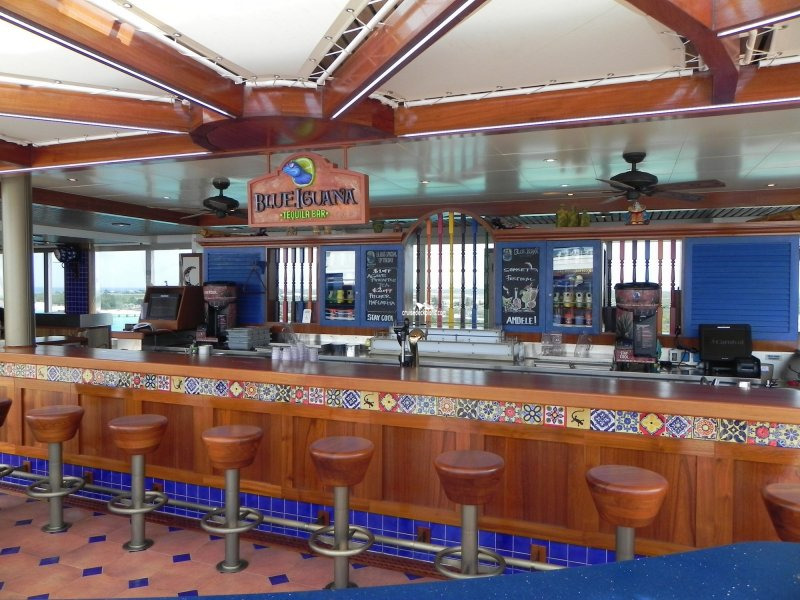 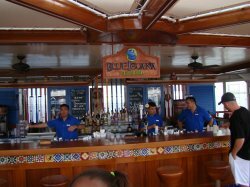 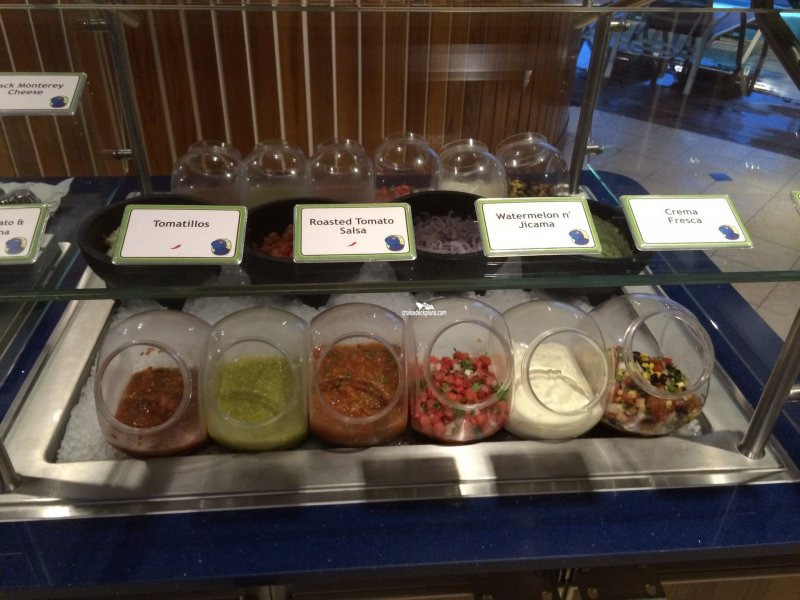 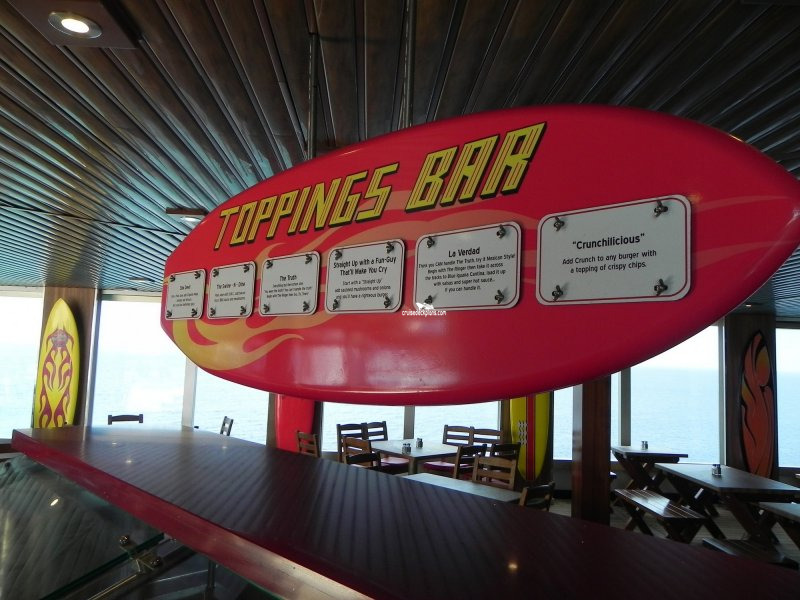 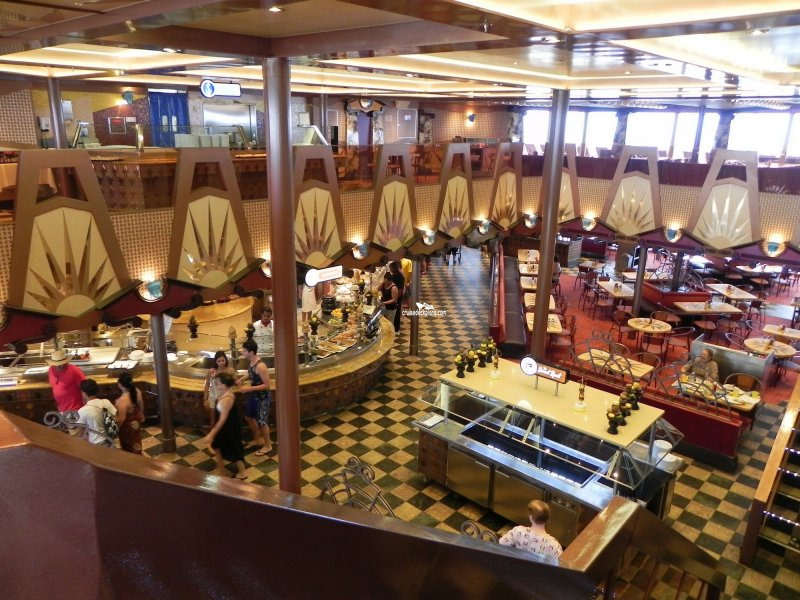 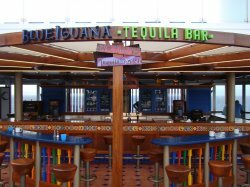 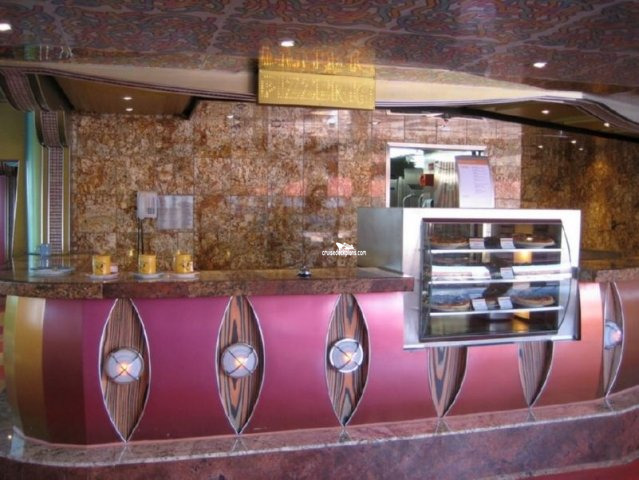 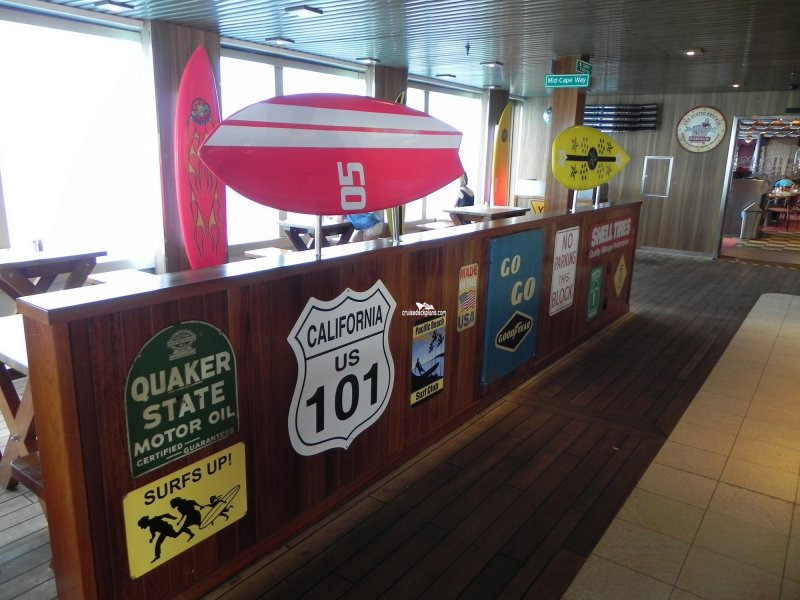 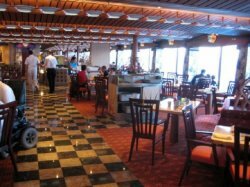 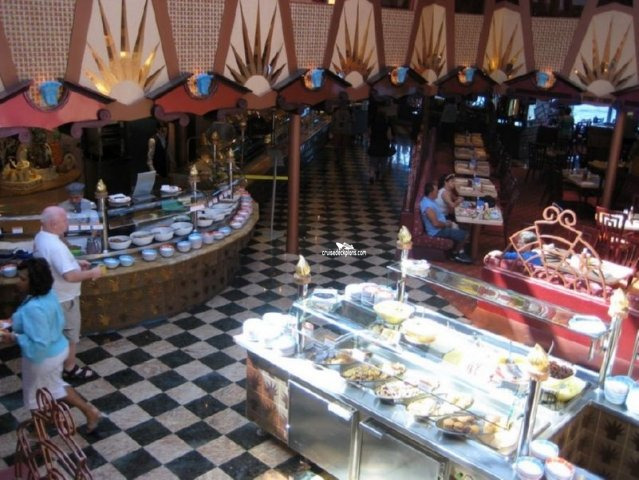 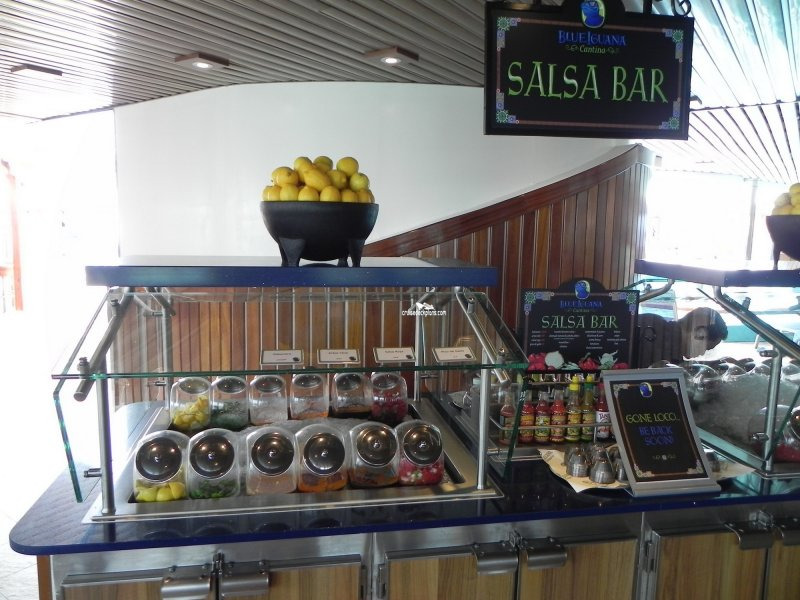 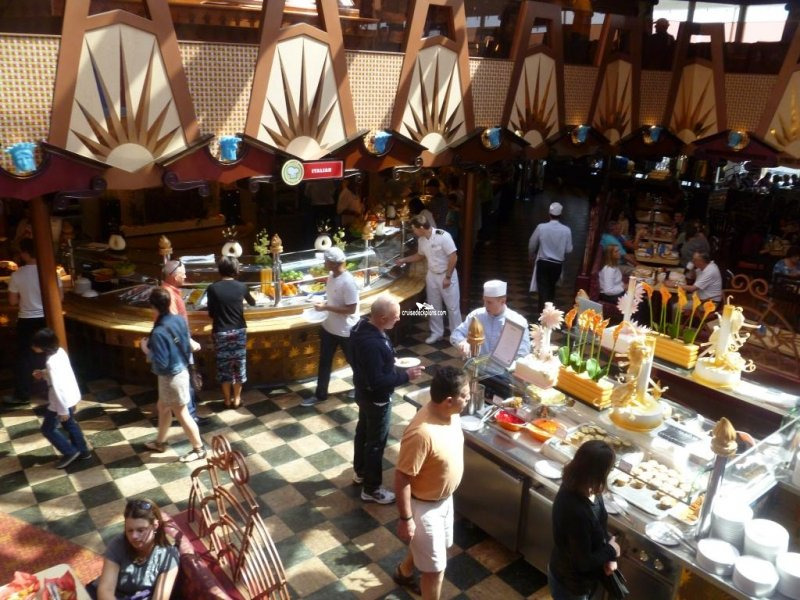 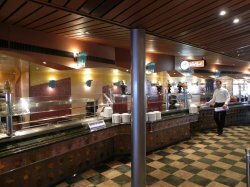 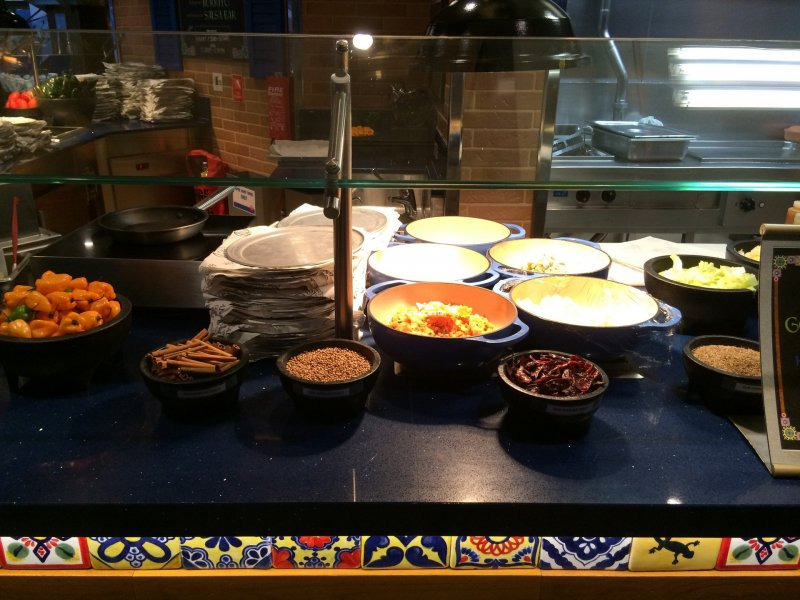 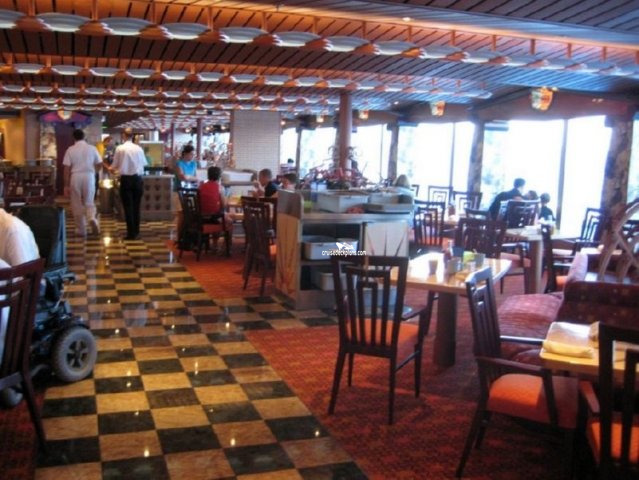 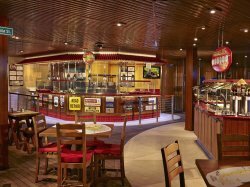 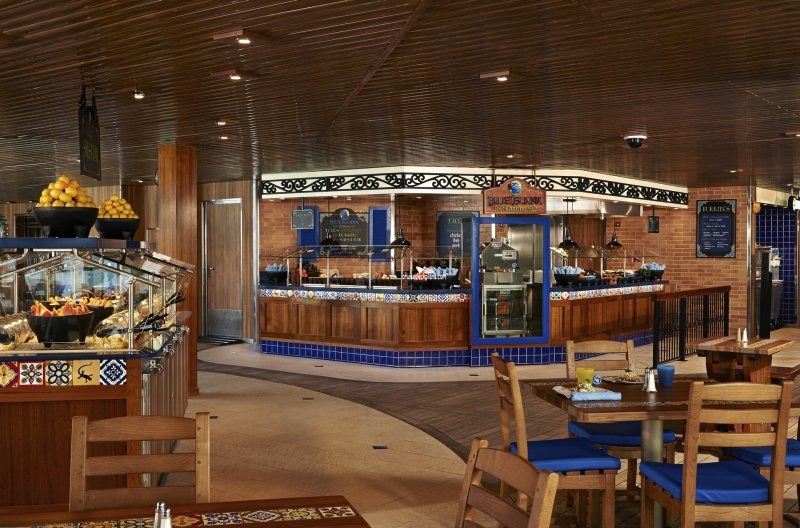 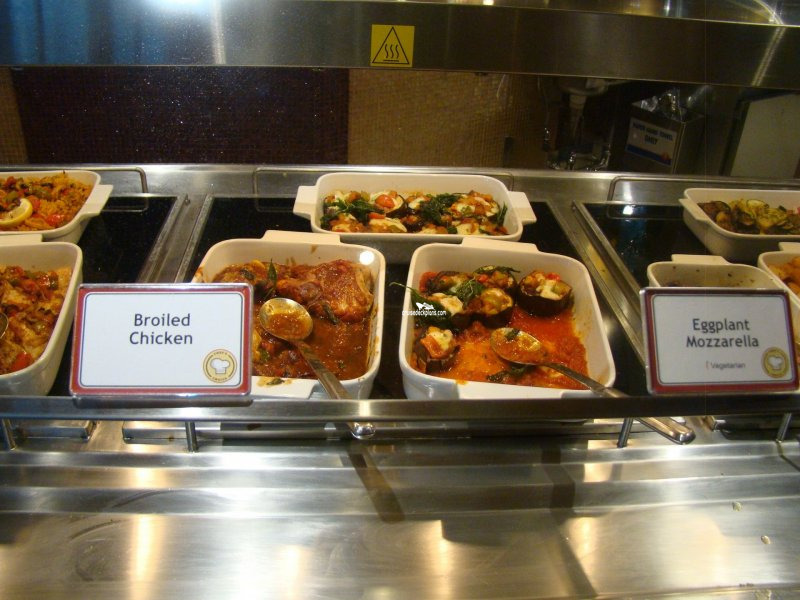 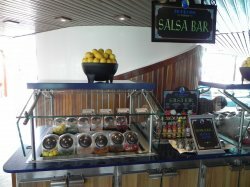 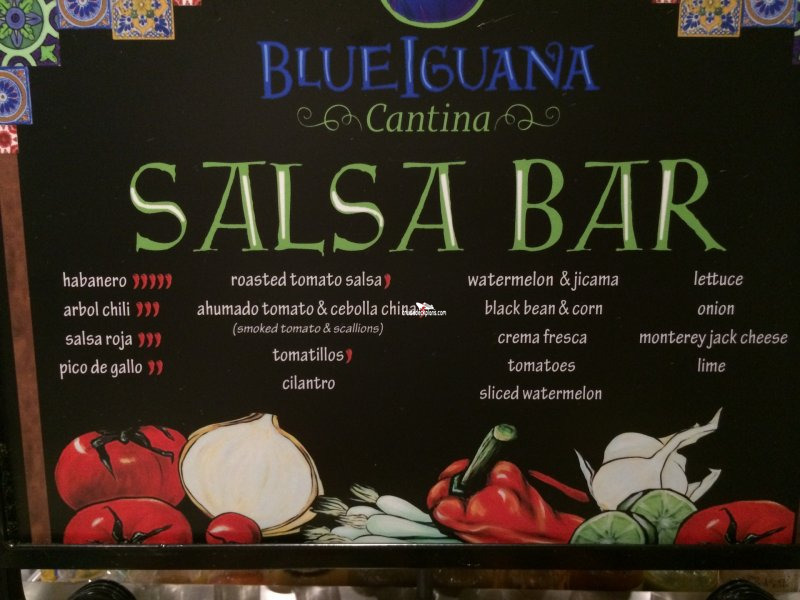 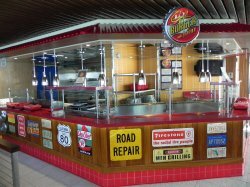 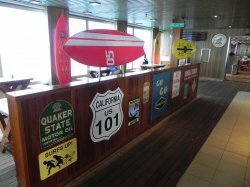 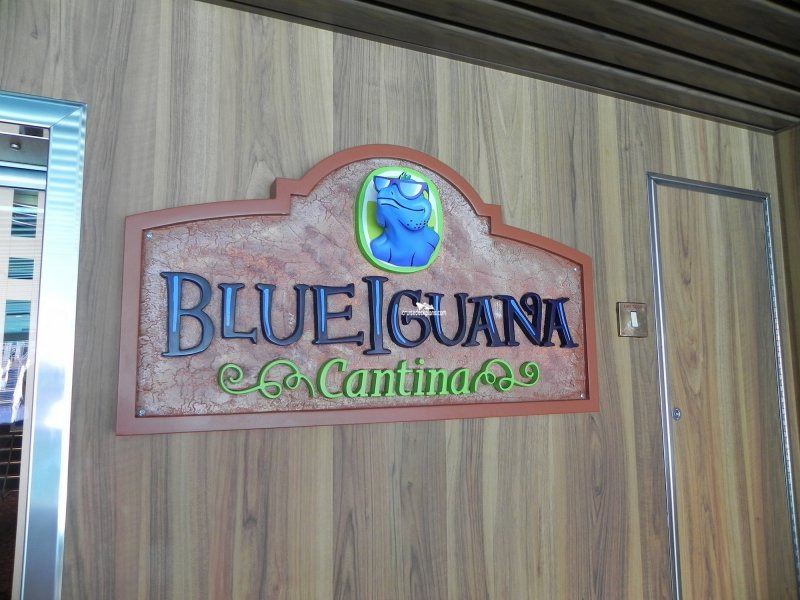 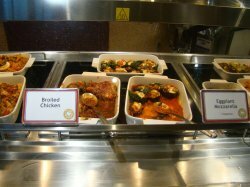 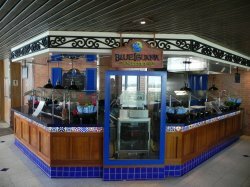 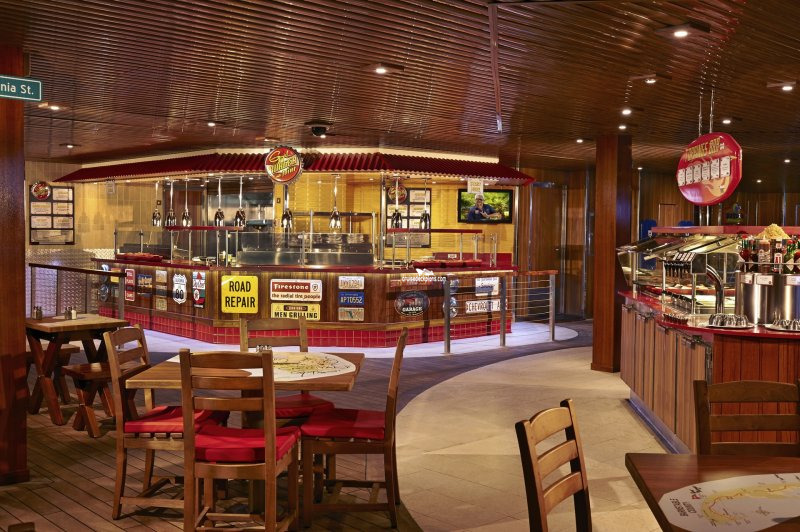 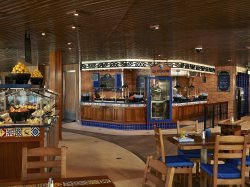 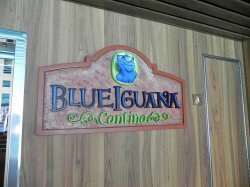 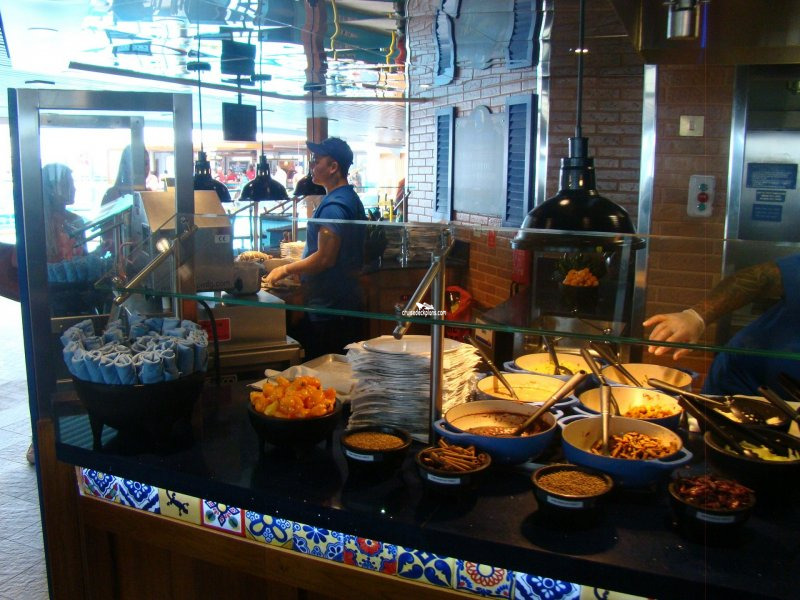 The ship's buffet style international food court. 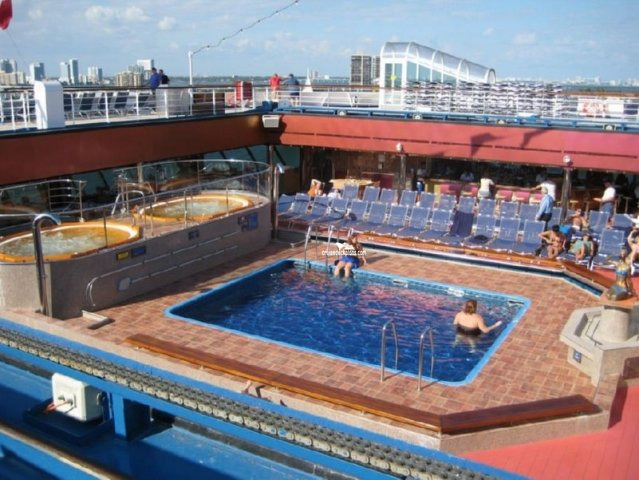 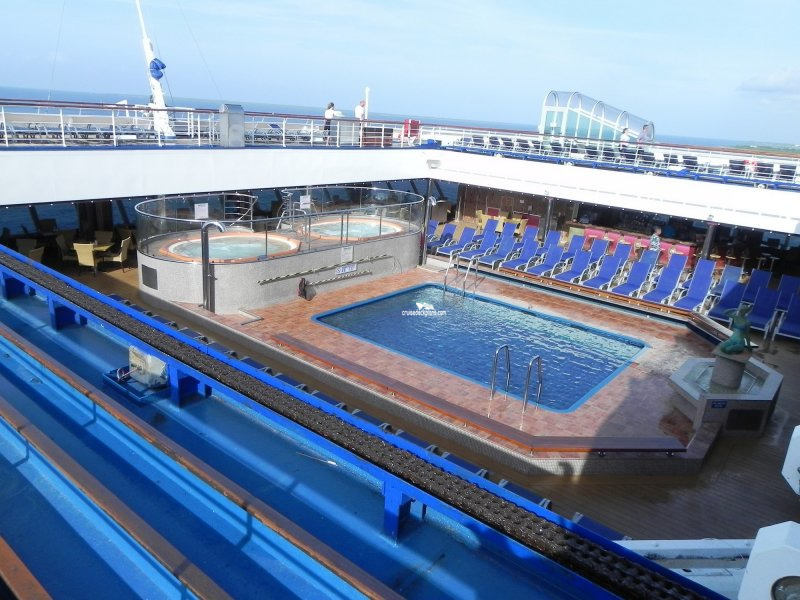 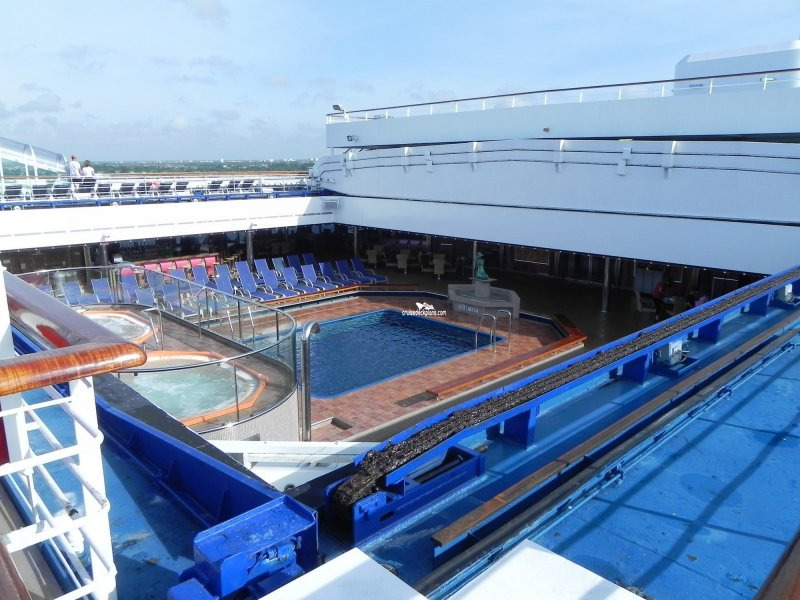 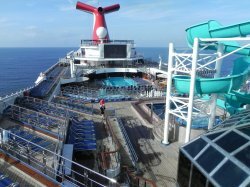 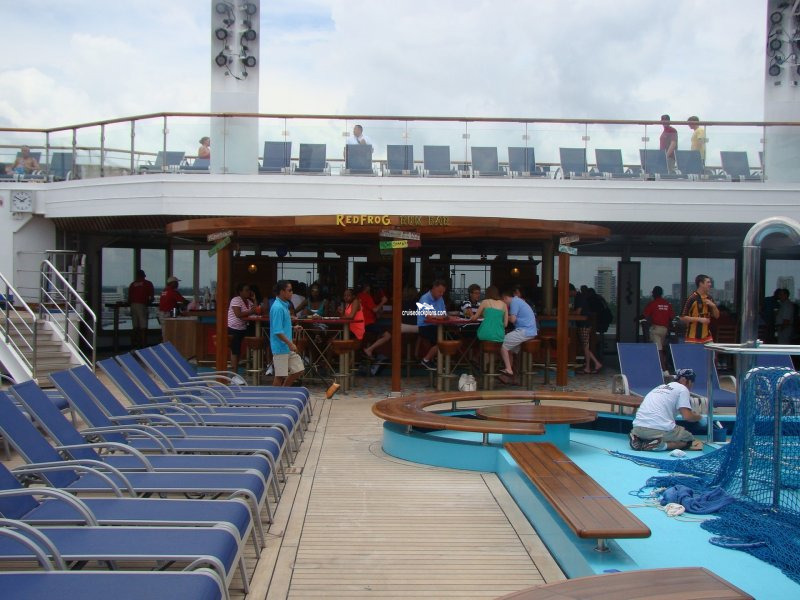 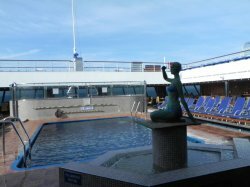 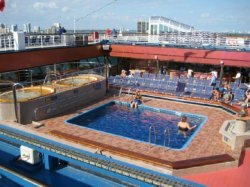 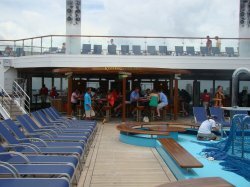 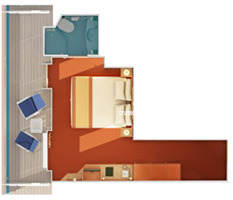 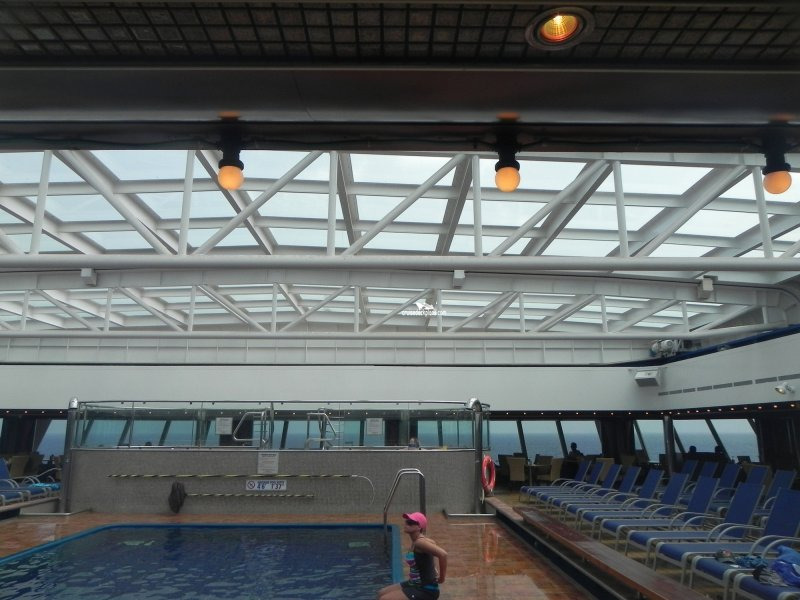 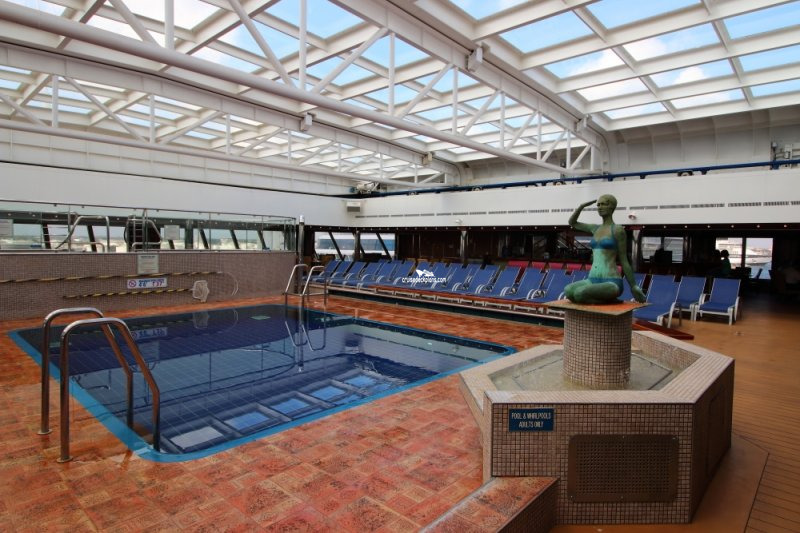 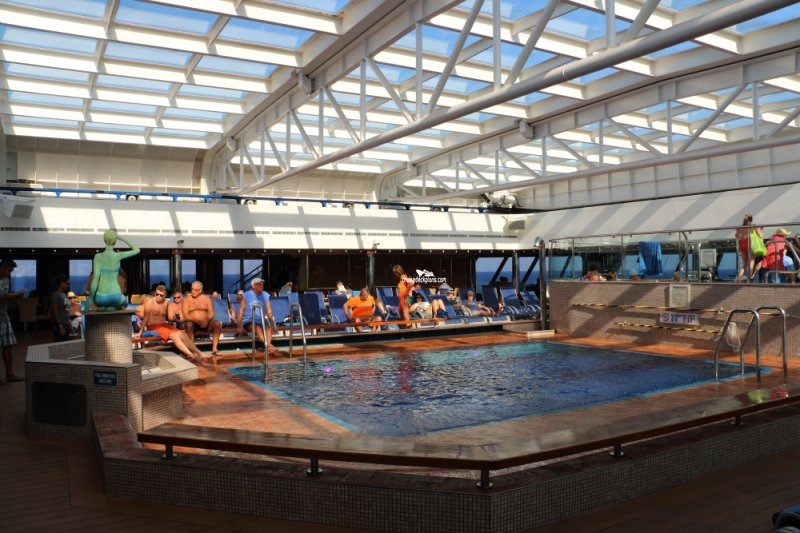 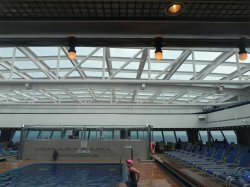 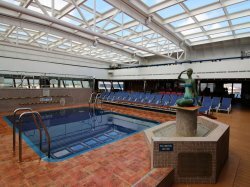 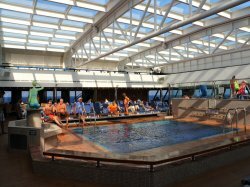 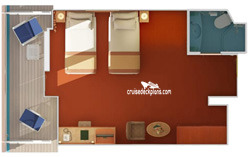 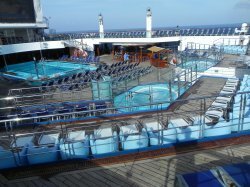 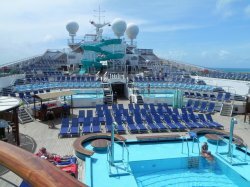 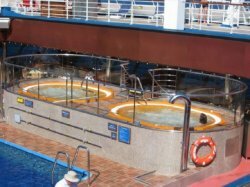 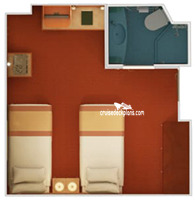 Pool located aft of the Lido deck with two hot tubs and retractable glass roof. 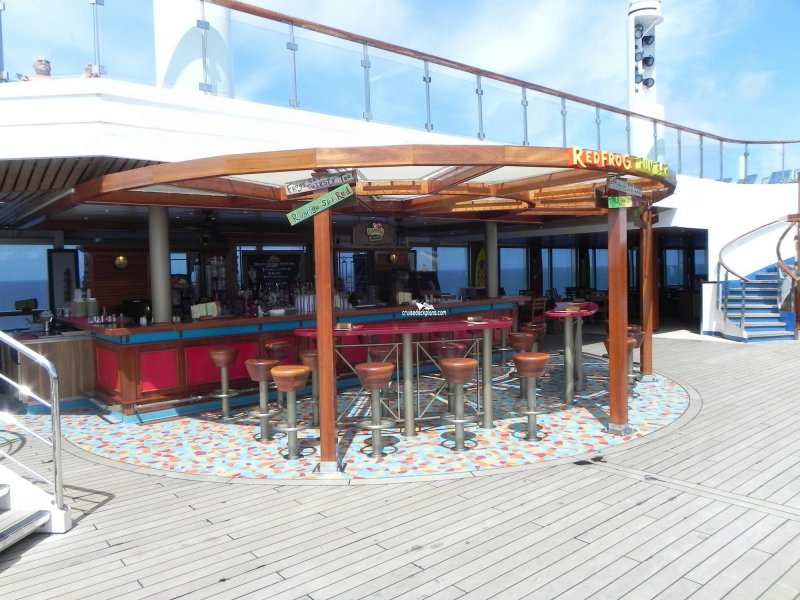 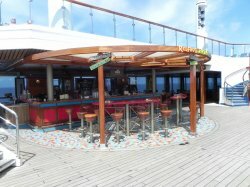 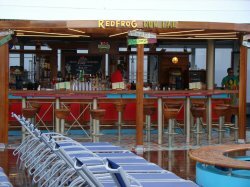 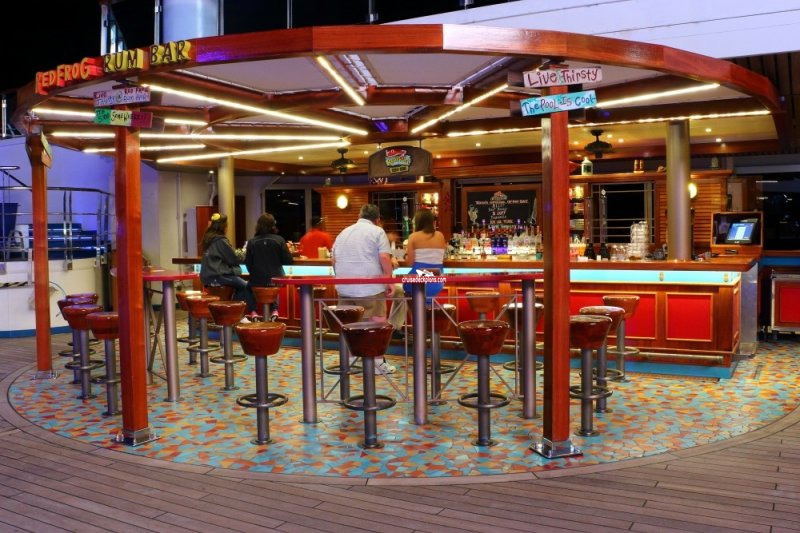 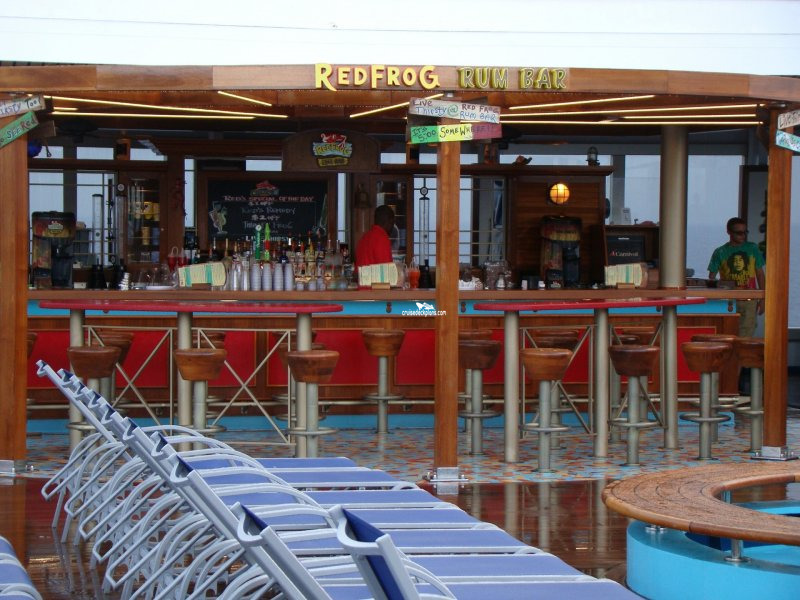 There is a bar and seating areas. 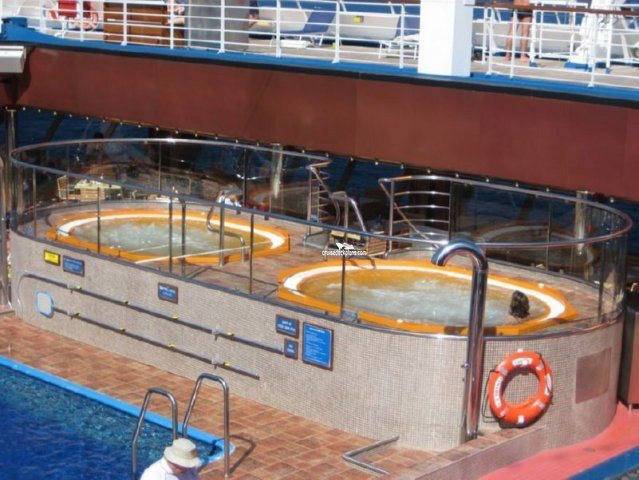 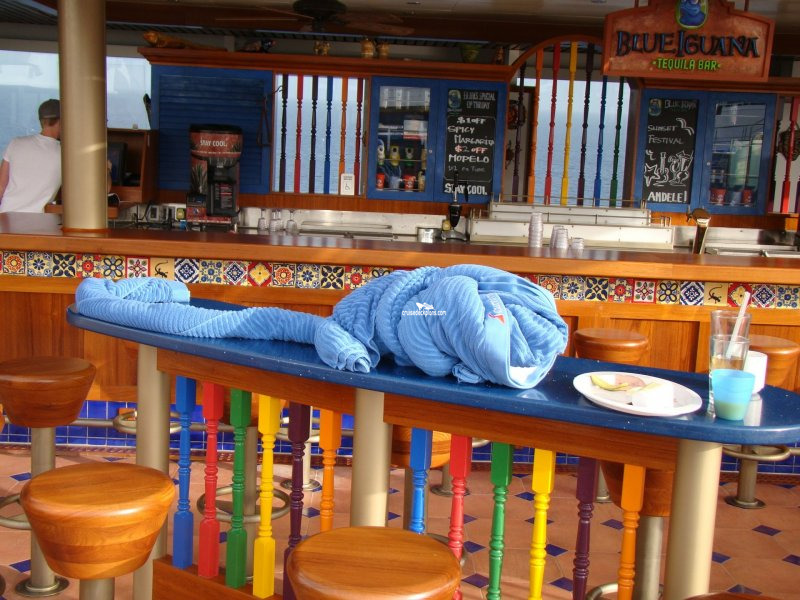 Open air pool with bars, burgers, two whirlpools, lounge chairs. 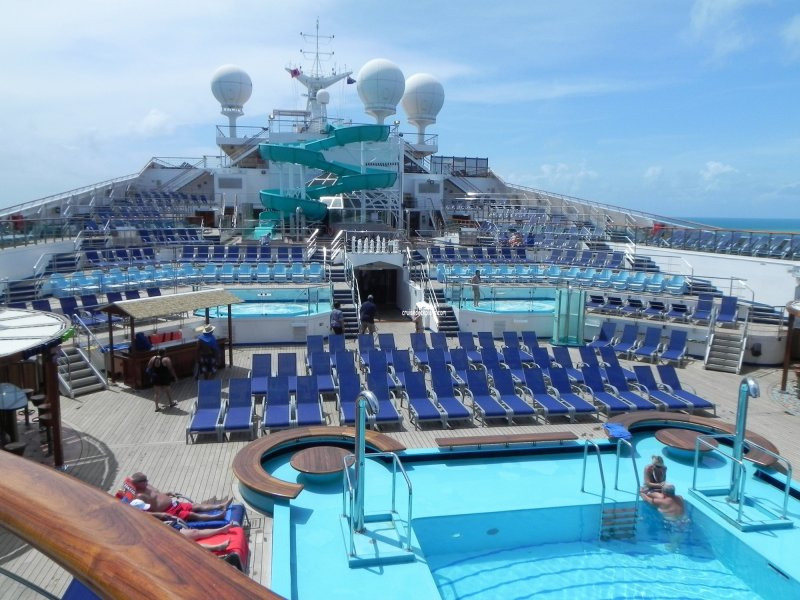 There are statium style lounge chairs around. 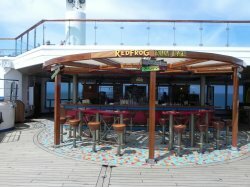 Open to decks above. 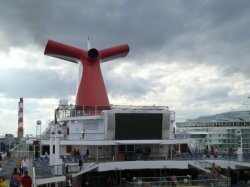 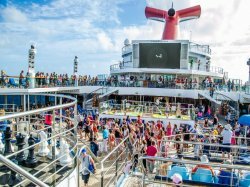 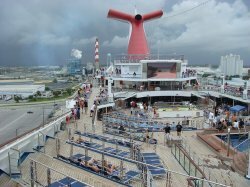 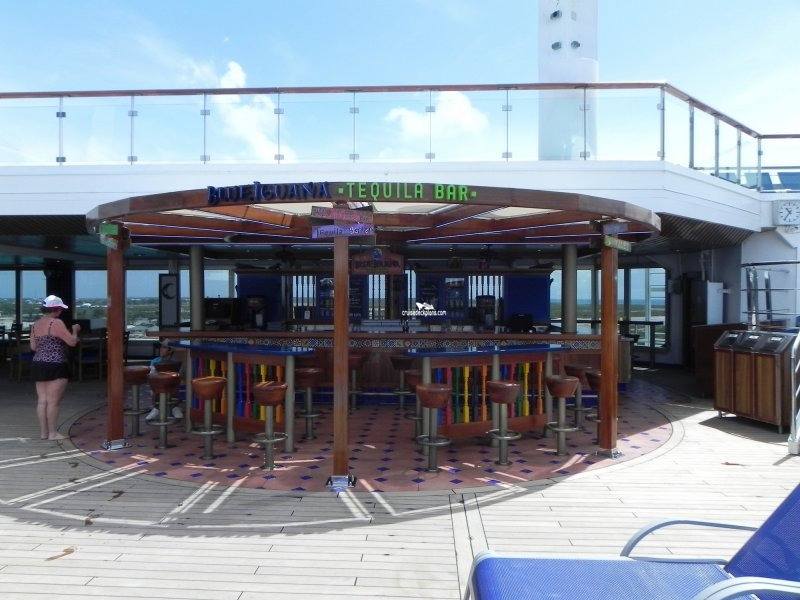 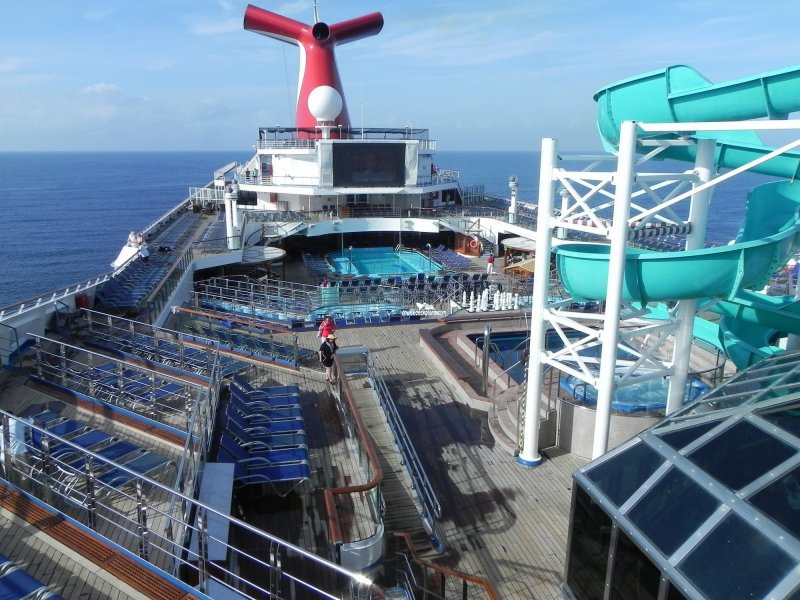 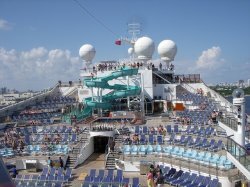 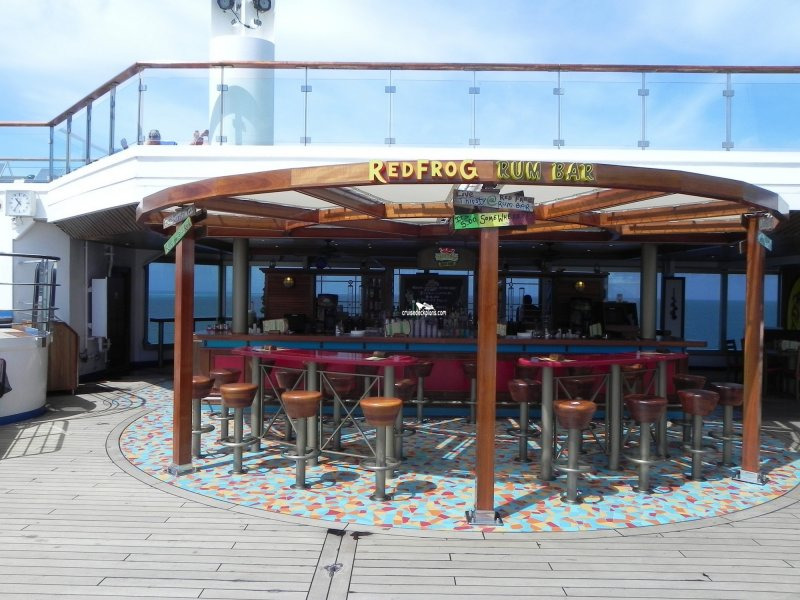 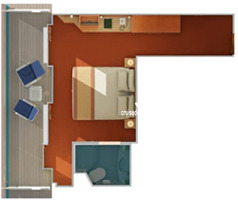 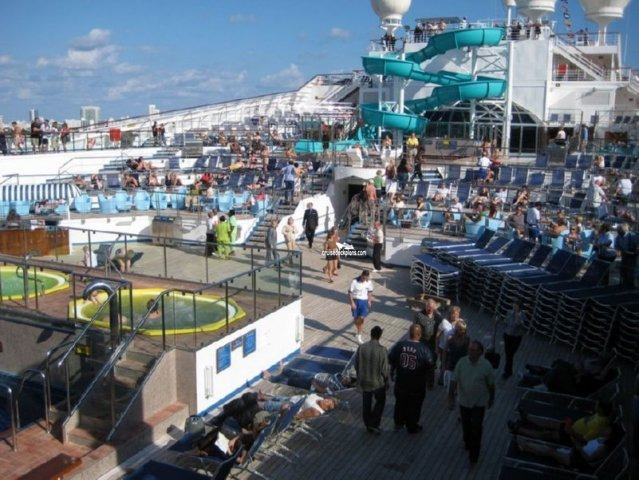 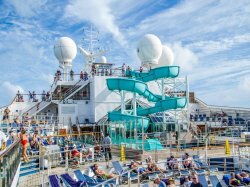 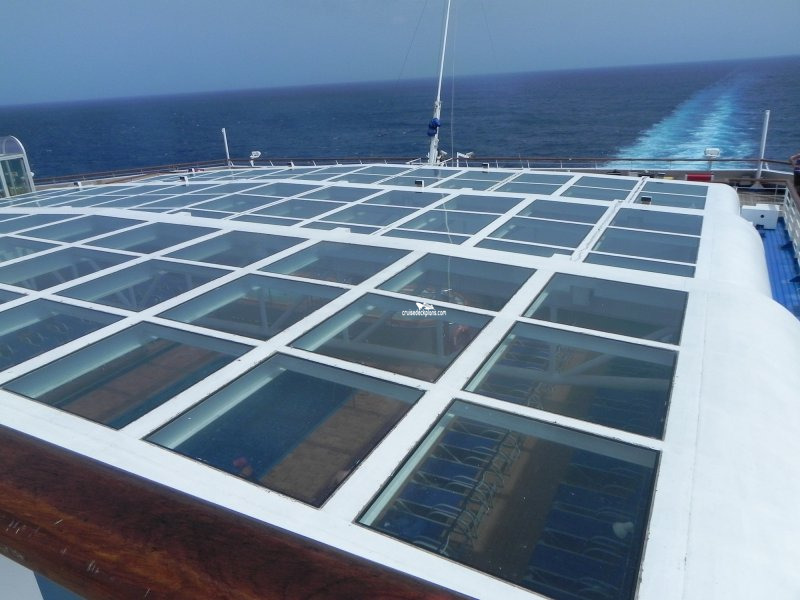 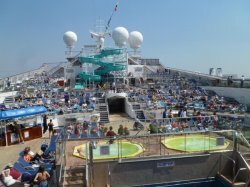 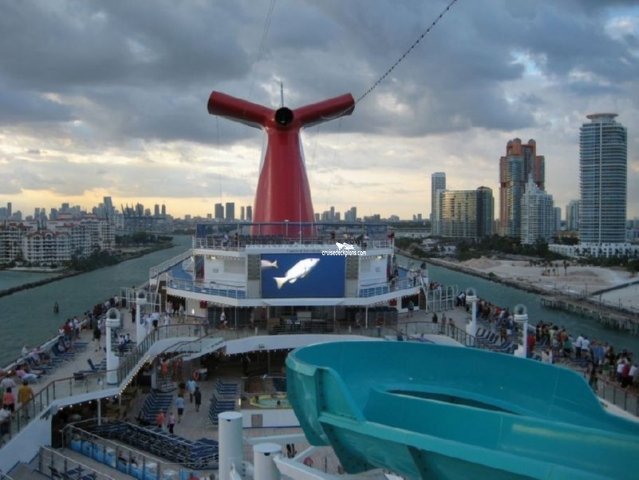 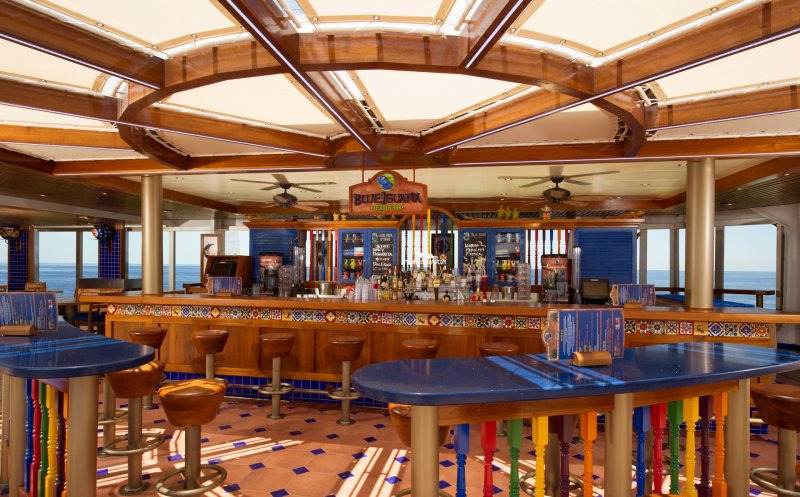 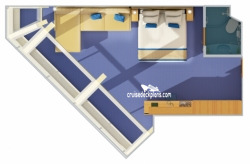 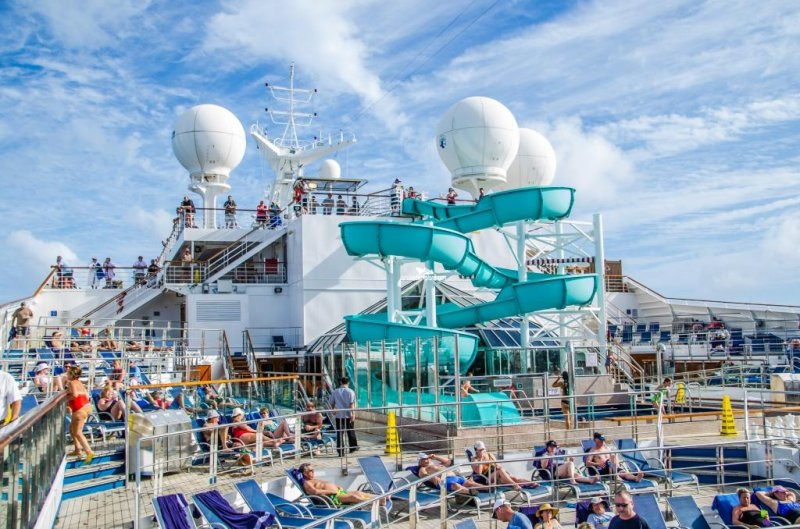 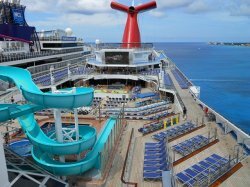 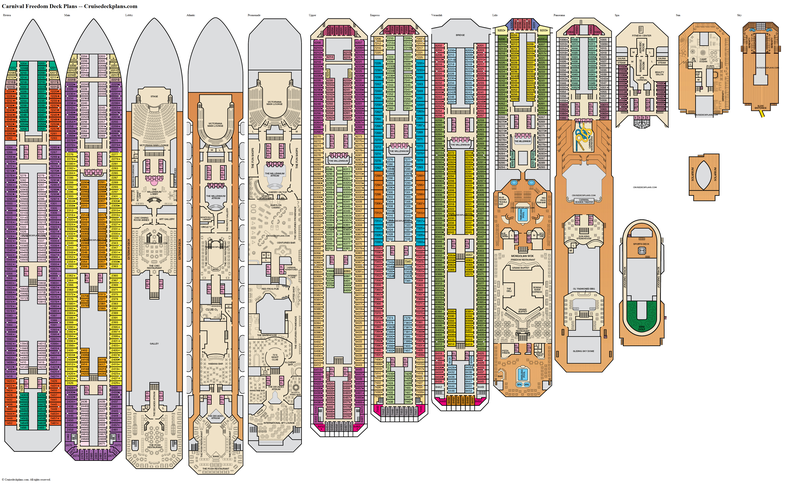 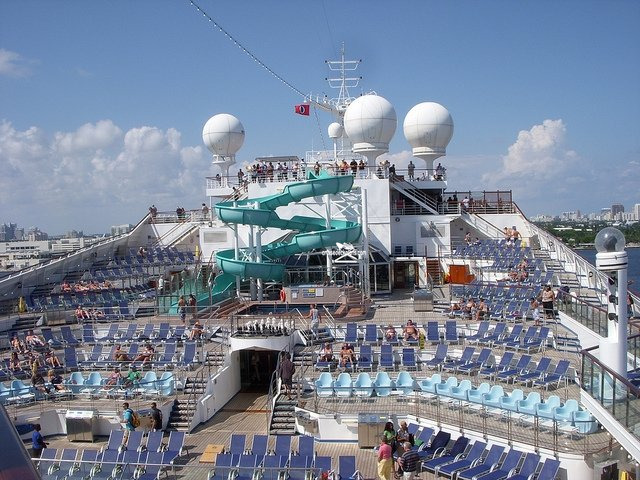 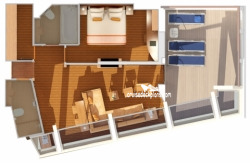 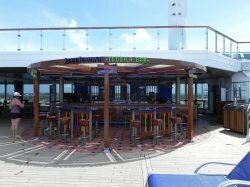 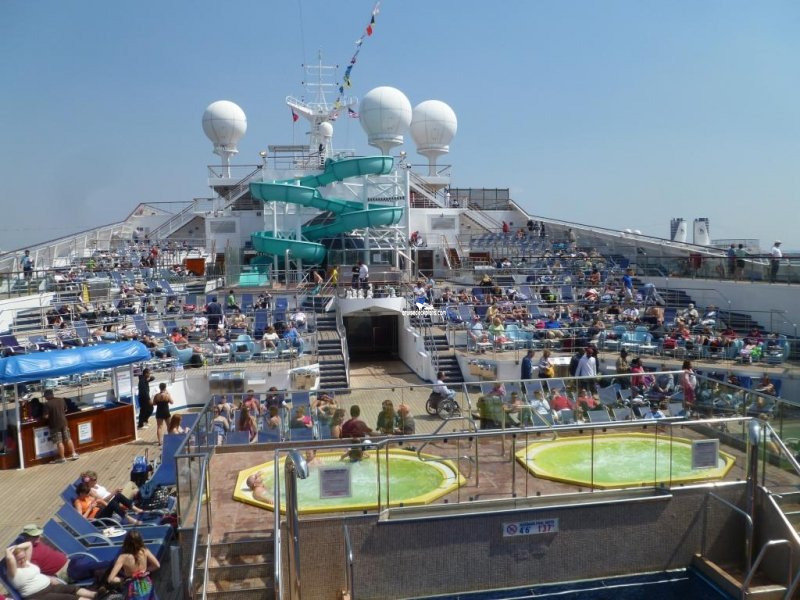 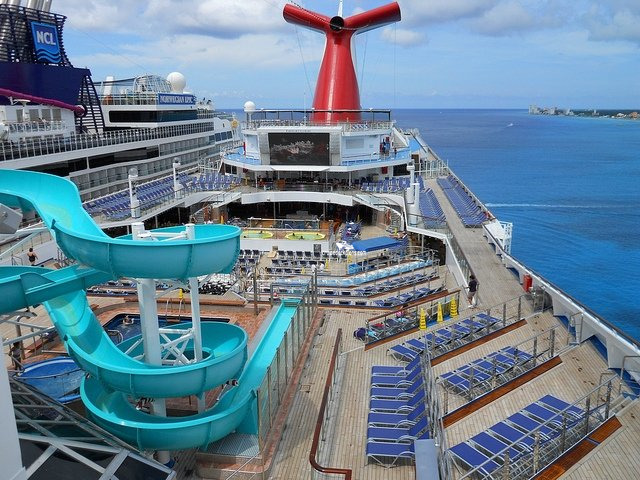 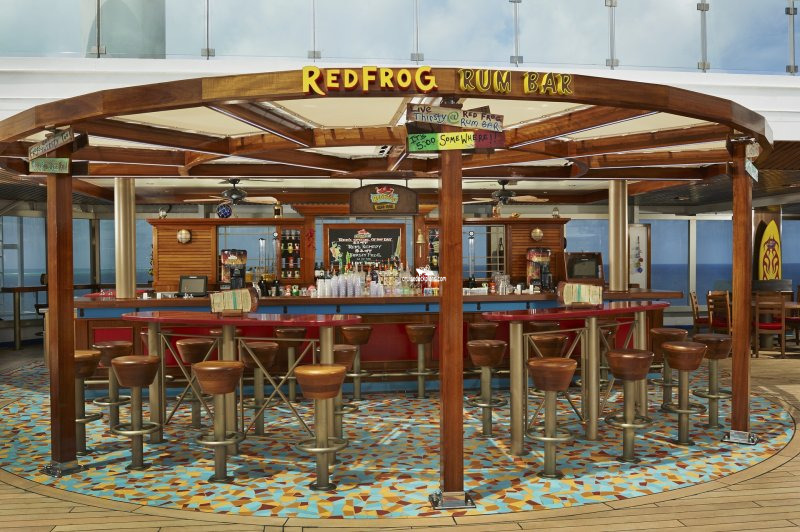 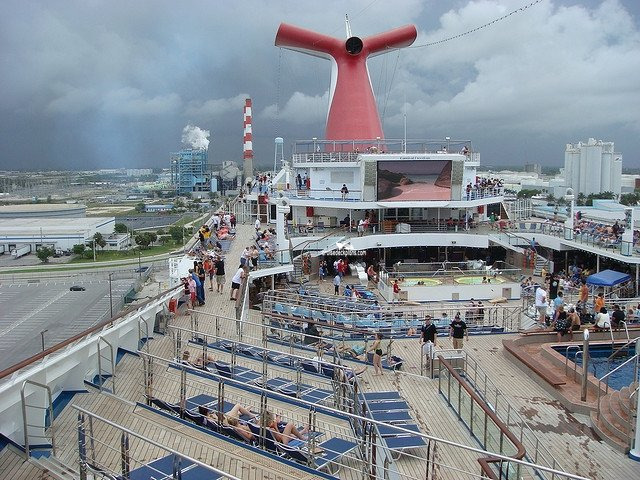 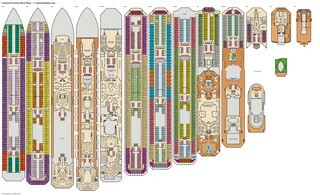 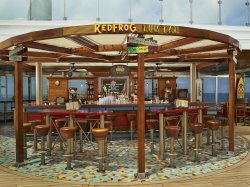 * Cabins from the forward elevators and forward are below cabins on the deck above and therefore will have less noise issues from public areas. 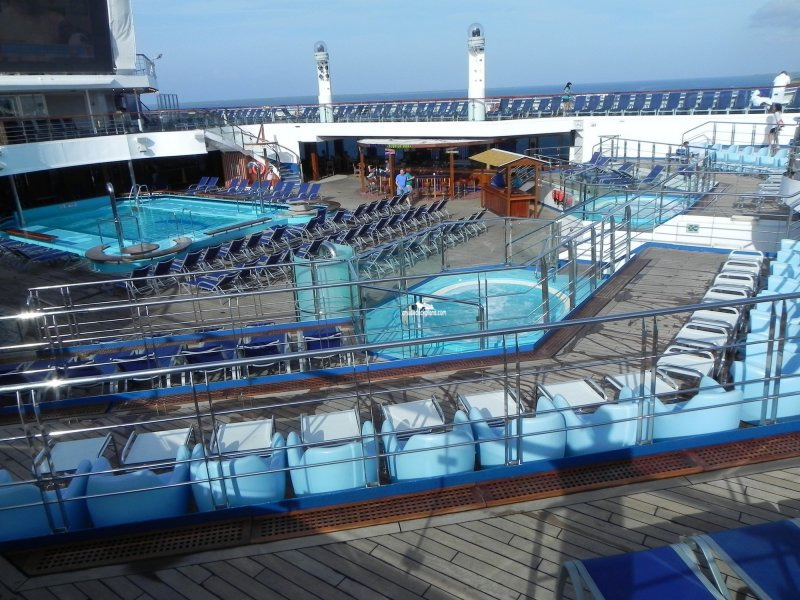 - balcony has 3 patio chairs and table.